Everything you need to start a coding club quickly and easily, at no cost to schools. 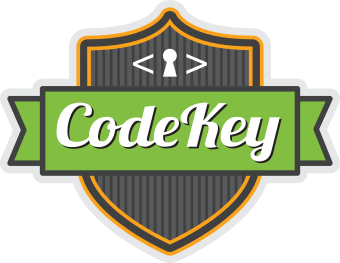 CodeKey is a Coding-Club-in-a-Box for parents or teachers of K-8 students. Introduce students to the world of coding through fun, interactive, and age-appropriate learning activities using animated characters and Lego®-like blocks of code. CodeKey provides everything you need to start a coding club quickly & easily, at no cost to schools. Students use our self-guided curriculum, activities, and platform to learn to code with a teacher or parent as club leader. CodeKey handles the rest, including student registration, fee collection, multiple class reminders and confirmation, attendance tracking and updates. Students will quickly gain a better understanding and appreciation of coding concepts through interactive games and activities. Our online curriculum was first developed by the Massachusetts Institute of Technology (MIT) Media Lab. This video shows a typical CodeKey after-school coding club setup. Here the students are meeting in the library of the school using Chromebooks. CodeKey setup is simple. Students just need a PC or Mac, headphones and a high-speed Internet connection. Skills that pay. Opportunities to create. Just plain fun! These are all reasons to learn to code. Computer programming, or “coding” for short, is what’s behind all the apps on your phone, the software on your computer, and even this website -- they’re all made with code. By 2020 there will be 1.4 million computing jobs in the U.S. and only 400,000 computer science students. The gap is largest when we look at the numbers of women. Girls make up less than 12 percent of this projected student body. What will these statistics look like in 2025? The current generation of children needs to be literate in technology to be competitive in the future job market. Not knowing how to code will be comparable to not knowing how to read. From physicians to musicians, being able to program and develop computer apps and software can translate into opportunity and success. Just like learning how to ride a bike, learning how to code is easier when you are young. Even four year old children can learn the basic concepts of computing. Be an advocate for coding and introduce children with CodeKey! Unlock opportunity. No hassle. CodeKey. If you have questions or comments, we would love to hear from you. Copyright (c) 2018 CodeKey Inc.